Across Canada and around the world, thousands of Canadians took to the streets, on Saturday, Jan. 23, to protest Prime Minister Stephen Harper proroguing parliament. 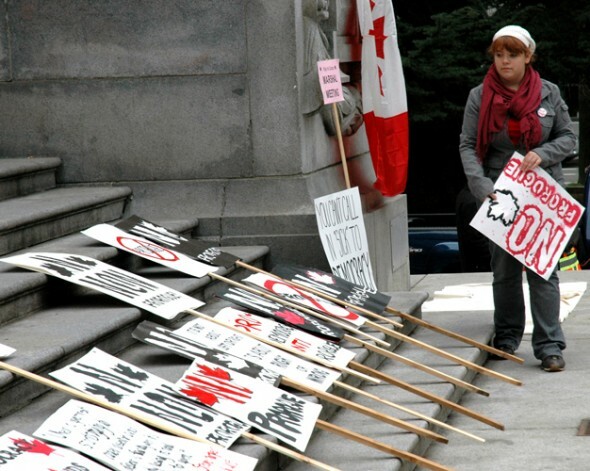 Ashley Fehr, Director at the Kwantlen Student Association, was one of the organizers of Vancouver’s No Prorogue rally. When I first found out about this, I thought I should look to see if there are any [facebook] groups … and sure enough there was,” said Fehr. 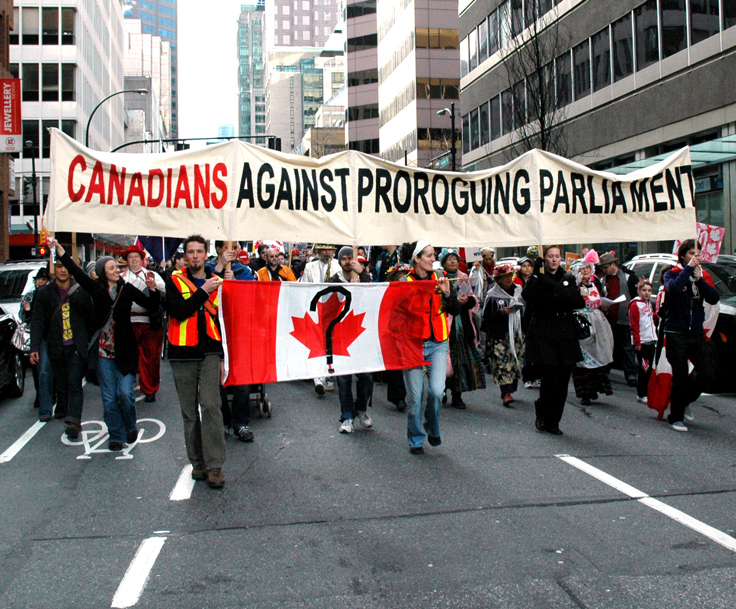 Although each city organized its own rally, the grassroots movement for the No Prorogue rallies was started through the Canadians Against Proroguing of Parliament (CAPP) facebook group. “So I joined that group and there was the Vancouver chapter group, so I joined that one because I wanted to help plan this. When it all first started I was the most involved and then I went to the first meeting and here I am,” said Fehr. On Dec. 30, 2009, Harper prorogued parliament. Because of this, many believed that Harper’s decision to proroguing parliament was anti-democratic. Many Canadians took this to mean that they didn’t care about the issue of Afghan detainees and by extension that Canadians didn’t care about prorogation. “When I heard that Stephen Harper had prorogued parliament again … I was pissed off. So that’s why I got involved, to let Stephen Harper and any other politicians out there know that Canadians are watching and we do care,” stated Fehr. “Today I think the main goal is to let Stephen Harper and all politicians know that they have to face democracy and democratic accountability. Democracy doesn’t end at the ballot box. Stephen Harper said that Canadians don’t care, that’s not true,” said Fehr. But, opposition parties have been moved by the CAPP. “The NDP and Liberals have already said that they’re going back to Ottawa on Monday, we got that even before we had the rally. That was because of the big push from Canadians planning these rallies,” said Fehr. At the time of the rallies, the CAPP facebook group had over 211,000 members. The Vancouver chapter alone had almost 1,000 members. According to the No Prorogue website, rallies were held in more that 50 Canadian cities and in seven cities around the world, including New York, San Francisco and London. The rally in Vancouver gathered at the Georgia Street side of the Vancouver Art Gallery around 1 p.m. and then marched its way through the streets of downtown Vancouver ending up at Victory Square where five speakers addressed the crowd of nearly 1,000 protestors.